The Playstation 3 finally arrived in Australia last week much to the anticipation of 40 individuals who were shopping for a new grill on Friday night. Of course, that didn’t stop the major electronics retailers across Australia from hyping and promoting this spanking new gaming console in catalogues, radio and TV. But how did the little guys compete? You know, the corner shop down the street with a 100sq.ft. showroom and no advertising budget. 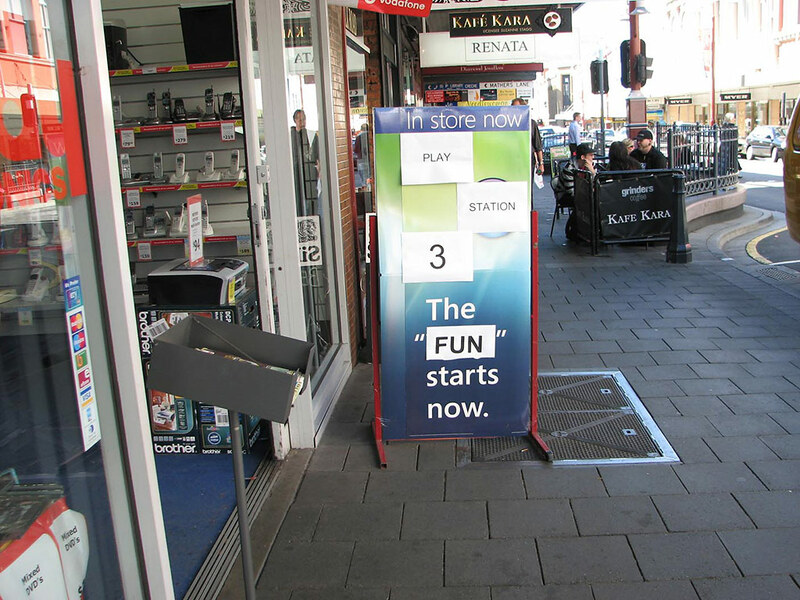 One Tandy Electronics store in Hobart Australia decided to take Playstation 3 advertising matters into their own hands with 9 pieces of A4 paper, some sticky tape and a lot of creativity. Obviously this store did not contribute to the 20 million copies of Windows Vista sold, but however, their marketing ingenuity gives new meaning to “improvisation”. Special thanks to reader Tim Bendall for sending this in. You still have Tandy’s down there? “Wow”. They had an “original” idea. Is that legal? That was so funny I laughed out loud! 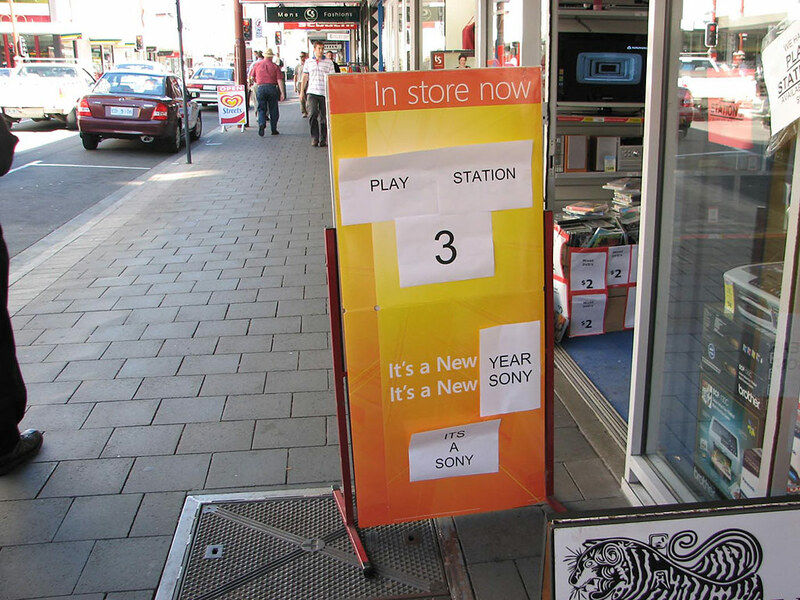 I wonder how many people in Tasmania actually bought a PS3? I think they’ll get in some trouble over that. I will check back on friday and see whether it’s still there! I am not a native english speaker, but shouldn’t it be “it’s a sony” instead of “its a sony” ?? The sign has been taken down now, and there was no sign of it in the store.